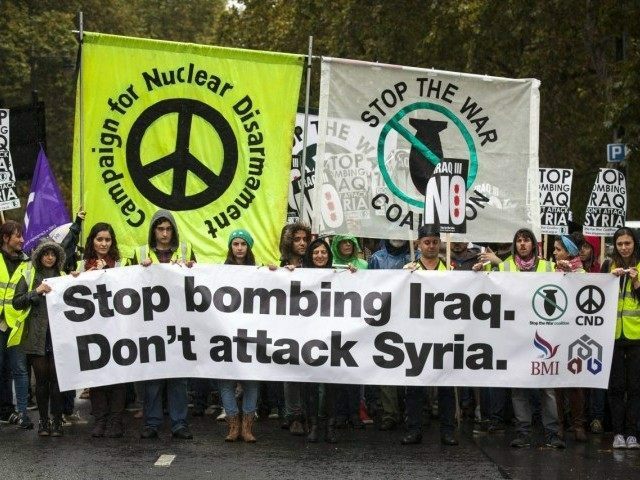 Nearly 60 per cent of Britons want to see Western governments wage war against Islamic State in Syria – but that number drops to fewer than four in ten among 18-24 year olds. Of the 129 victims of the Paris terror attacks the vast majority were in their 20s and 30s. Although half as many – 19 per cent – agreed that “we should stay out of all foreign conflicts so as not to provoke them,” many of the young people did not know what the correct response should be, with three in ten, the highest of any demographic, answering “don’t know”. The Scottish National Party was the closest to the views of young people: 41 per cent of SNP supporters wanted to see Western governments take action, against 22 per cent who wanted the West to stay out of all conflicts, the highest result for this option. A further 20 per cent were unsure. Conservative supporters were the least likely to want to stay out of conflicts; fewer than one in ten Conservatives chose this option. UKIP supporters, meanwhile, were the most likely to want to fight, with fully 76 per cent backing military action, the highest level of support out of all the demographics.